Designing a PCB for current devices is a very complex and often over looked area instead focus falls upon the more interesting FPGA or Processors. 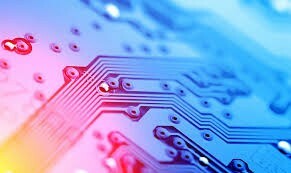 However, the fact remains that without getting the board correct in the first place you may find you have issues either sooner or later so what are the main aspects of a modern PCB should we be concerned about. 1. PCB Stack up – the keystone of the entire PCB. This defines the number of layers within the PCB (More layers can increase the cost) along with allowing the engineering team to establish the characteristic impedance on the required layers. This, like many things in engineering, becomes a trade-off between fabrication processes and layer count to achieve the reliability, yield and cost targets. 2. Via Types – Via’s enable interconnection between the layers and components, however, there are many different types: Through, Buried, Blind, and Micro (are these single layer, multi-layer or stacked). The best designs minimise the different types of via, close discussion with your selected PCB supplier is also important to ensure your via types are within their capabilities. You will also need to ensure the current carrying capacity of the different via types to ensure for high current paths you can parallel up. 3. Design Rules – These will address both rules for the design i.e. component placement, crosstalk budgets, layer allocation, length matching / time of flight analysis and so on. It will also include design for manufacture rules which ensure the finished design can actually be manufactured for instance are the via aspect rations correct. 4. Breakout strategy – before you can begin to verify your signal and power integrity you must first ensure you can break out and route all of the signals on high pin count devices. This will also affect the stack up of the PCB board, for instance should you use micro via break out (most probably yes), how deep should these be is stacked micro via required. Once you have a defined stack for the PCB you can think of your routing strategy will it be the traditional North South East West, a layer based breakout or a hybrid style. 5. Signal Integrity – the most commonly considered aspects of designing a good PCB typically an engineer will consider aspect such as signal rise and fall times, track length and characteristic impedance, drive strength and slew rate of the driver and termination. To ensure the best performance SI simulations will be performed pre layout and post layout of the PCB, you will also need to consider the Cross talk budget. 6. Power Integrity – high performance devices especially modern FPGA and ASICs can require large currents at low voltages. Ensuring both the DC and AC performance of the power distribution network is of vital importance. Of course the list above is by no means complete, however, it provides a good starting point.